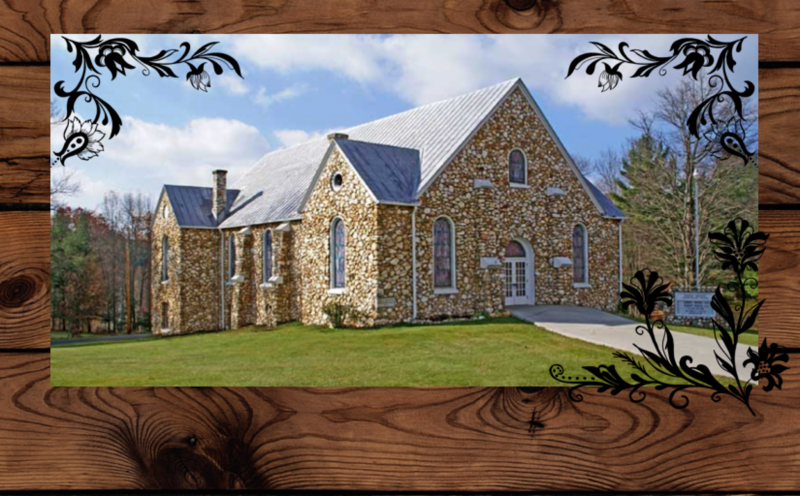 Buffalo Mountain Presbyterian Church is the “Mother Church” of six rock churches established by Rev. Bob Childress. Reverend Childress is the subject of the book, “The Man Who Moved a Mountain”, by Richard C. David. This church is the largest of the six rock churches that are known as “The Rock Churches of the Buffalo.” The church was organized in 1927, with the building dedicated in 1929. The church derives its name from the distant view of Buffalo Mountain, which sits northwest of the church. Reverend Childress and his family are buried in the adjacent cemetery.